The U.S. needs friends to fight terrorism, writes former CIA analyst Aki Peritz, and President Trump's actions are making it harder for the intelligence community to do its job. President Trump's latest on-the-job lesson in being commander-in-chief is a vital one: Intelligence is a team sport. For all of America's immense military power, global reach and technical capabilities, we still rely on our allies for on-the-ground knowledge. Bottom line: We need friends to fight terrorism, and Trump's actions are making it harder for the intelligence community to do its job. 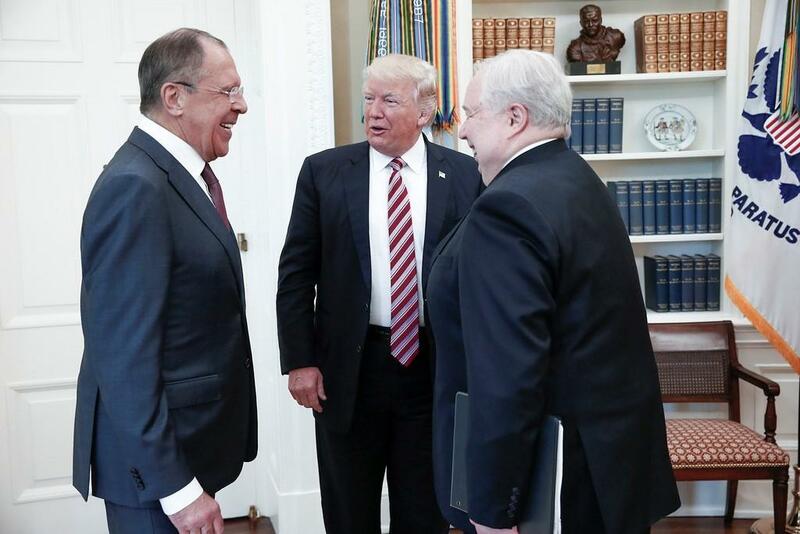 In the wake of this week's reports that President Trump appears to have provided classified information to Russian Foreign Minister Sergei Lavrov and Ambassador Sergei Kislyak — intelligence the U.S. has yet to share with our allies on combating the Islamic State — it's fair to ask what impact this will have on U.S. intelligence gathering. The agency usually protects its sources and methods. But it recently disclosed the name of Richard Gibson, a man of letters who became a spy.